We are very happy to announce that the YMCA International Learning Center's (ILC) application for funding renewal for the Fenway and Woburn sites has been approved by the Mass Department of Elementary and Secondary Education. This funding is highly competitive state-wide and is the primary source for adult English for Speakers of Other Languages (ESOL) classes throughout the Commonwealth. 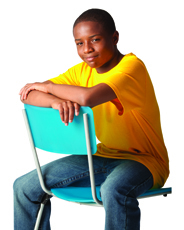 The Y's ILC programs have been ranked in the top 10% in past years. The funding renewal includes a much-needed increase, which will enable the Fenway program to maintain its high-intensity level of services, and for the Woburn program to add an Adult Career Pathways program, 3 additional evening programs, and an English writing program. Over 160 immigrants will attend 9 different levels of English language classes at no cost, preparing them for their next steps in new careers and further education. On June 22, more than 100 Liberty Mutual employees volunteered at one of 10 YMCA of Greater Boston locations. Despite the heat, the Liberty employees worked hard and had great attitudes. We are so grateful for their time and efforts. Thanks to them, our outdoor camp sites in Canton and Boxford look great and were ready to welcome campers. They helped make the grounds of our Roxbury Y look fabulous and provided much-needed extra sets of hands in our preschools classrooms and at YMCA Training, Inc. The Liberty Mutual employees who volunteered joined their colleagues throughout the state who participated in the company's global Serve with Liberty campaign. Created to celebrate Liberty Mutual's 100th anniversary, Serve with Liberty involved over 20,000 company employees around the world who took part in two global days of service to help each of the communities that the company calls home. The YMCA of Greater Boston is proud to once again partner with Associated Grant Makers (AGM) Summer Fund to provide families and children that reside in homeless shelters in Boston with a positive and memorable summer experience by offering scholarships to camps at Ys across the Association. The impact of being homeless has a tremendous effect on the lives and behaviors of children. The opportunity to experience summer camp results in a sense of empowerment and helps each child - facing homelessness or otherwise - build relationships, confidence and self-respect. Through this partnership with AGM, the YMCA of Greater Boston is able to build transformational relationships with these families and children. This summer, our Egleston Square YMCA - just one of the Boston Ys hosting camp scholarship recipients - is serving 13 families who reside at Casa Nueva Vida and the Elizabeth Stone House. Children from these two shelters are participating in the Egleston Square Y's Little Leadership Academy for children between the ages of 5 and 12, and in the Summer Institute which is a college and career focus program for youth between 13 and 16 years of age. 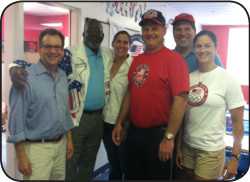 Kevin Washington, second from left, visited Olympians Seth Bauer, Mary Mazzio, David Jensen, Jonathan Smith and Bethany Hart at the Charles River Y. As part of their first week of summer camp, the Charles River Y welcomed 5 former Olympic athletes to spend the morning with campers on Friday, June 29. Seth Bauer, Bethany Hart, David Jensen, Mary Mazzio and Jonathan Smith spoke to the youth about their personal accomplishments and experiences as Olympians. The athletes emphasized that Olympic success stems not only from athletic skill, but also from mental and emotional drive. The dedication of these Olympians to give back to their community is an example of a trait we want all of our kids to develop, and one that is nurtured through programs at our local Ys. 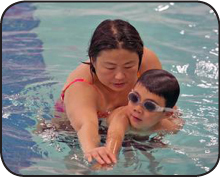 The Waltham Tribune recently highlighted the Waltham Y's Mandarin swim program, which is growing in popularity. 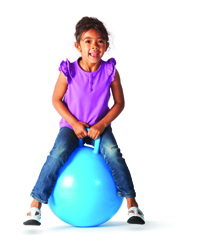 Sponsored by CVS and the Rotary Club of West Roxbury-Roslindale, the Fit and Fun program for kids with autism at the West Roxbury Y is free to all families in the community. The Roslindale Transcript included a feature on this program. Save the Harbor/Save the Bay awarded a grant to the East Boston Y in support of their summer activities for youth and families on the beach, as reported in the East Boston Times-Free Press. The YMCA of Greater Boston is pleased to count Eastern Bank Charitable Foundation as one of its key community partners in building a stronger and more vibrant community. The Y recently received grants from the Eastern Bank Charitable Foundation totaling $75,000 that will support the renovations of our historic Huntington Avenue Y, help to develop a renovated Y in West Roxbury and build a new playground at the Burbank YMCA. This gift is in addition to the many local Y events Eastern Bank already supports annually. The YMCA International Learning Center (ILC) has moved its English for Speakers of Other Languages (ESOL) program to a temporary location at 3 Center Plaza, 9th Floor, Boston, MA 02108 in Boston's Government Center. The move will allow the ILC to continue offering uninterrupted free and low-cost adult ESOL classes while we move forward with the major renovation of the Huntington Avenue Y. The 3 Center Plaza location also places the ILC within steps of YMCA Training, Inc. at 18 Tremont Street. 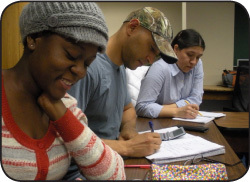 In addition to its popular intensive daytime and evening ESOL classes, this summer the ILC will also be running a series of afternoon workshops that include Pronunciation, Job Readiness, and Advanced Writing.